Wibrain will start developing and selling the Wibrain M1 MID in Korean market, this according to news from AVING USA, page that has published today some very good pictures of this device. Adopting a 4.8-inch touchscreen with 1,024*600 resolution, a sliding keyboard and a round-shaped touchpad, the M1 will feature 512MB/1GB of RAM, 8GB/16GB SSD, WiFi/HSDPA/Bluetooth connectivity, mobile TV, and either Linux or Windows XP OS. So, is it Android really open? I don’t think. There is not question that owning a T-Mobile G1 is not the same than owning an iPhone. At least you don’t have to run around checking for Jailbreaking tools every time that a firmware is released but you still can’t install in YOUR OWN phone whatever you want. Foxit’s PDF Reader is to me one of the best PDF Reader available in the market. Their freeware version loads a lot faster than Adobe’s Reader. Now they are releasing a eBook reader loaded with a version of their PDF Reader so I’m expecting to read really good comments about this device which is at the same time one of the cheapest readers in the market. 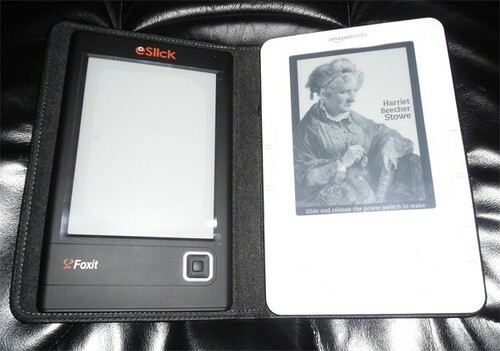 Foxit's eSlick is still about the cheapest way to get an e-reader in front of your retinas. Granted, only the earliest of pre-orderers are seeing their units ship, and if you try to jump in now, you'll be greeted with a note to not expect it for another fortnight or so. In fact, all three hues (black, grey and white) are currently sold out, with new batches expected to be ready by April 10th or so. Microsoft has passed from innocent videos to more aggressive videos directly attacking Apple. A clear message to Apple, what can I say. It has a 7 inches touch screen without a keyboard so if this is not a UMPC I don’t know what it is. One thing is for sure, this Small Factor PC will be remembered for having the highest price tag in the history of mobile computers: $30,000!. 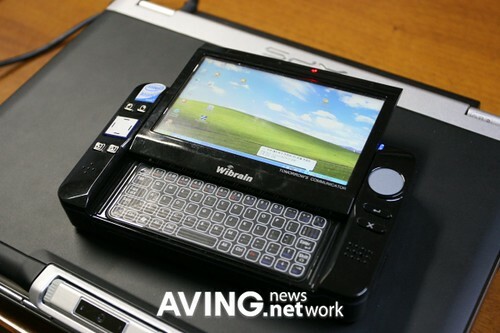 Adopting a 7-inch touch screen, this multimedia computer is powered by Intel Core 2 Duo processor and Windows Vista OS. 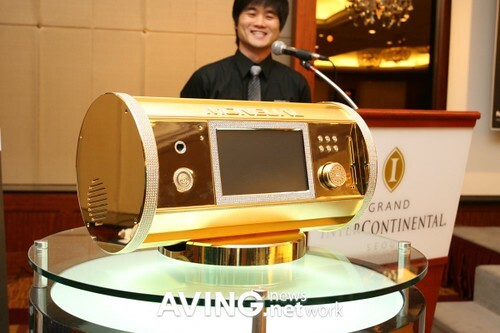 Equipped with ATI Radeon HD 4000 series for full HD video playback, it is expected to be available around 30,000(USD). This is a news coming from Android Community, Diotek has announced a handwriting recognition software for Android. The software will be able to understand English and Korean handwriting. From a mobile phone point of view, it will be compatible with the Android powered T-Mobile G1. The software works in a similar manner to your older style PDA. I’m very glad to see this but at the same time I doubt that writing with your finger in the T-Mobile G1 small screen is going to be a pleasant experience. 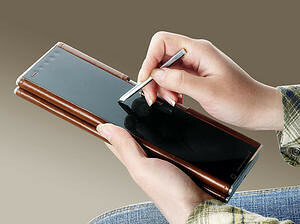 Remember, this is a capacitive screen and stylus do not work on them, you have to use your finger. Here is one of those videos that everybody likes. So far, there is not any other Computer Operating System out there with better support for touch. Android: 5% OS Share in U.S.A. I have been saying the whole time to my friends in Europe asking me about the sales of the T-Mobile G1 that it seems to me that they are doing good and today I have read at JKonTheRun a confirmation of my appreciations. The author of the article believe that Android will experience a slowdown in it sales. I disagree. I believe that we are going to see a jump even higher. Reason: The release of the T-Mobile G2 and other phones already shown in different events made by Samsung and other OEMs. One of the points that stop business users from buying the T-Mobile G1 phone was the lack of Exchange support. No anymore. NitroDesk Inc., today announced the availability of the push-enabled version of TouchDown as a priced application on the Android Market. TouchDown is a leading commercially available Exchange synchronization solution for Android powered handsets and devices. In the new version, TouchDown will provide users with the ability to receive emails in real-time from exchange servers that have ActiveSync enabled on them. This include Microsoft Exchange Server 2003 SP2 and Microsoft Exchange server 2007 installations. In addition to the possibility of receiving real-time email notifications, the new version also enables PIN based security and Remote-Wipe of Exchange data to provide administrators and users with new ways to secure the information downloaded to the device from the exchange server. For the adoption of Android powered handsets in the enterprise space, such features are normally considered critical. 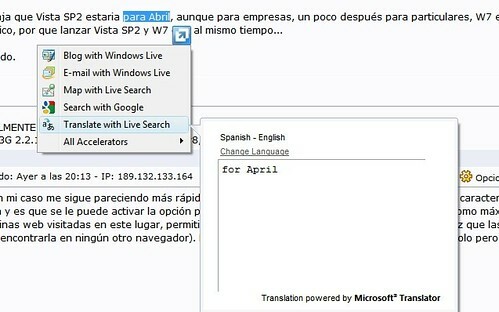 Accelerators of IE8 are super! The new accelerators of IE8 are really nice. I like how I can translate or get a map without leaving a page, using the preview of these two accelerators. I posted yesterday about PDANet for Android. I tested it in W7 thinking or being prepared for all kind of error messages and guess what, none. It worked perfectly in W7. Easy to install, easy to use. Yesterday IE8 was released and like I have been saying, I’m switching back from FireFox to IE8. Reasons, many. Firefox does not have support for Tablet PCs and I’m a Tablet PC user. Yes, I use IETab extension in Firefox but then why I should be using Firefox if I need an IE extension to work properly. In another hand, Firefox for some reason was very slow opening for the first time, it was slow in some pages and other pages did not render properly. In my multi cultural world and I needed a spell checker with multiple languages capability so I installed IE7pro and it gave me few problems but if I disable everything but the spell checker and the modification of the contest menu everything works find in IE8. So that’s what I did. So far I’m happy with IE8 so the other features of IE7Pro are not that important to me because most of them are already present in IE8. do you need instant on in your Laptop, UMPC, or Tablet PC? Check this video prepared by my friend JKK. The beta of Xandros Presto OS can be downloaded here. I know that this could void your contract with T-Mobile but what the heck, there are emergencies where you need a way to get your laptop connected and if you can use your G1 as a modem why not. More information about the application here. Currently in beta stage, and available for Windows users (together with a 64-bit Vista version), the app reportedly works well. 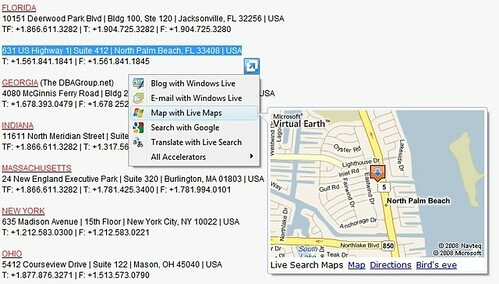 PdaNet is already available in Palm OS, Windows Mobile, BlackBerry and iPhone versions. If it was not because of the processor (ARM) I could have called a Military UMPC. The Zypad can be worn in your wrist and is loaded with Linux and everything you need to survive in any conditions. 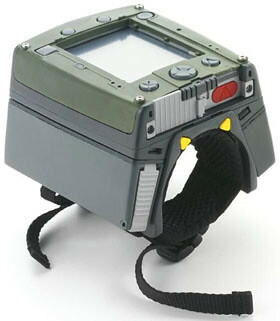 This bit of bling is a ruggedized wrist-worn personal computer designed for the bush. It contains a high performance CPU with 128MB of flash memory and 256MB of RAM. There is not too much known of this new device but few pictures published in this web site. A really interesting design. It reminds me my old Jornada 720. Update: it's a concept. More info here. I'm not a Mac user so I can't give a fair opinion on this one but apparently Gizmodo Australia can ad they say that the task bar from Windows 7 is a lot better than MacOS's Dock. The challenge of learning a totally new Windows behaviour is the cost of getting this huge step forward in UI. The superbar makes Windows way more conducive to running tons of applications, since it's actually possible to find apps and precisely the window you want in a second, no matter how bad the shitstorm on your desktop is. In this sense, it's a better application manager than the Dock, from which, generally speaking, you can't do much more than jump to open applications or close them. I have been using IE8 during the last month testing W7 and I have been telling all my friends one thing, I have been using Firefox for the last 4 years, I have tested Chrome and Opera, and when IE8 is finally released that will be the browser that I’m going to start using full time. I’m very pleased with it performance and it gives me almost all I need without having to install any extension. Today's browsers all perform well, and in the real world, you don't actually notice a performance difference between any of them. (I saw exactly this when I looked at the supposedly superior Safari 4 beta.) What matters is what the browser brings to the table in the form of security and functionality, in how it makes you more productive on the web. Apparently I’m not the only one thinking in this way. Today Paul Thurrott has posted a note commenting about some tests done in another site and he fills that IE8 is as good as all those other browsers that claim to be the best. Why should I pay Microsoft? Why should I pay Microsoft 99 dollars per year for the use of Windows Mobile Store and on top of that give Microsoft 30% commission in all my sales? I’ll keep selling my applications in all the other stores currently available where I do not pay any annual fee. Bad start Microsoft, bad start. Update to my post: if you are a new developer and you are not sure how your application is going to sale I doubt that you would like to invest 100 dollars just to see what happens. So this fee the only thing that stops is the inclusion of new faces in that store. One of the reasons why PPC became so popular was because the developing tools where free and everybody was developing for them in a time where Palm was the competition and the developing tools for palm were expensive. Do not forget that. Yes, handango and pocketgear may be asking for a bigger commission but there is not any risk involved in putting new applications for sales for new developers. I have myself more than 5 applications for sale and only two of them make more than 100 dollars per year. It’s really very hard to put in the market something that everybody wants to use unless it’s a game. It’s not that easy like may be many think. All developers are far from making millions like many think. Why is the Hibernate option not available on the Lock button menu? Your system administrator may have turned off hibernate, or you may have hybrid sleep turned on. Wow! And what about reactivating it? Nothing. Call the Administrator. In this case me. Thanks God that I had Internet available with my Google friend 24/7. Is not easier Microsoft to have a checkbox back there in the Control Panel to activate/deactivate the Hibernation? Why we still have to use the DOS Console in a century where everything is visual? This weekend I was reading a few comments at todoUMPC forum where somebody was criticizing Microsoft software pricing. The argument was something like “You can buy a laptop for 300 dollars but Microsoft OS will cost you around 200 dollars and if you buy Office you will end paying around 400 dollars more, for a total of 600 dollars, twice what you have paid for your hardware”. Coincidentally, Paul Thurrott has posted a very good article about this same topic where he says that this argument is completely false because in reality the cost of such setup could cost you as little as 150 dollars and for sure never near 600 dollars. 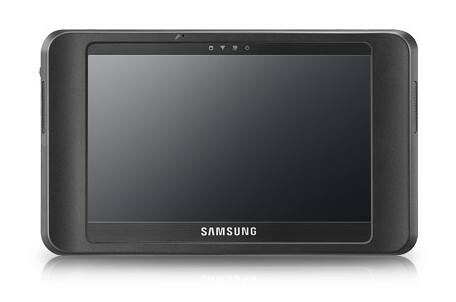 FCC is currently reviewing the Q1EX UMPC from Samsung. This UMPC is a pure Origami Device, no keyboards! a clean, slate look that keeps the eye focused on the 7-inch, touchscreen display with 1,024 x 600 pixel resolution. Inside you'll find XP Tablet Edition running on a 1.2GHz VIA Nano ULV U2500 processor, VIA's Chrome9 HC graphics, 2GB of 667MHz DDR2 memory, 802.11b/g WiFi, Bluetooth 2.0, a SiRF Star GPS receiver, SD card slot, and a rear-mounted camera of unspecified pixel density. The unit that passed through the FCC for US airwaves approval also features a 60GB hard disk and 4-cell, 4,000mAh lithium ion battery for up to 4.5-hours of battery life according to Samsung. I have not test the VIA Nano processor so I can’t give a fair opinion about it. VIA has been following Intel and in the same way that the Atom processor has gained in performance VIA’s processors were right behind but… Does this processor at 1.2 GHz really compete against the Atom processor at 1.6 GHz that many Netbooks are currently using? Who knows… Benchmarks are needed. No doubt about it, Amazon is conquering the world of eBooks! Kindle for iPhone application was just released to iTunes marketplace and is available for download! What it does is it brings most of the Amazon Kindle functionality to iPhone or iPod Touch. There is not anything clearly said about the DRM protection of these eBooks neither the file format used but my guess is that they still protected and the same restrictions that Amazon has for Kindles will apply to iPhones. And I do not have any problem with that. Amazon lets you add up to 5 Kindles into your account, that means that all members of your family can read your purchased books at anytime. In another hand, Amazon acts like your personal library. If you buy a new Kindle replacing your old one as soon as you connect it to your account all your books become available to you. You won’t have old problem any more where your downloaded eBooks get lost if your device brakes. That never happens. Besides my Kindle the other gadget that I love most is my Roku. There is nothing like having 12000 movies to watch whenever you want. And now Roku is adding Amazon on Demand, that means that you can rent or buy movies directly from your Roku. Roku, Inc., maker of the popular Roku digital video player, today announced that customers can now watch movies and TV shows from Amazon Video On Demand. With Amazon Video On Demand, Roku customers can for the first time purchase or rent new release movies the same day they are released on DVD and watch commercial-free TV shows the day after they air– all from Amazon’s extensive selection of more than 40,000 movie and TV titles. The compact Roku player connects directly to any TV and uses a broadband Internet connection to deliver DVD-quality video instantly. Roku customers can now choose from Amazon’s enormous selection without paying subscription fees, waiting for downloads, or running out to the video store. Over the course of the next week, current Roku customers will receive a free and automatic software update giving them access to the Amazon Video on Demand service. All Roku player customers will continue to have access to Netflix Instant Watching with unlimited access to more than 12,000 movies and TV episodes for a low monthly fee. The Roku digital video player is available for purchase exclusively at Roku.com and Amazon.com. Intel presented Yesterday a new series of it Atom processor targeting mw devices such as robots. The company introduced four Atom chips that will go into devices such as entertainment systems for cars, videoconferencing devices, robots and interactive kiosks, said Doug Davis, vice president of Intel's digital enterprise group. Intel slowly has improved the overall performance of the Atom processors making them ideal for all kind of small devices.